The Coffee Bar is upstairs on the first floor. 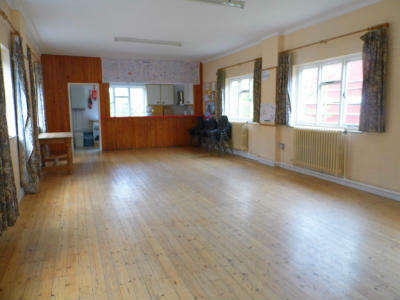 A light/bright hall with a wooden floor. The room offers a supply of chairs & tables, an electric piano and double electrical points around the room for PA system, music etc. A large open hatch and door lead to a separate kitchen space. In addition to a long work top/bar, the kitchen contains two sinks, microwave, hotplate, kettle and urn. There is no fridge. A supply of crockery is available.